Exhibition stand builders need to have modular display systems that look stylish and professional, give expo organisers more options in setting up their displays, and, more importantly, affordable. 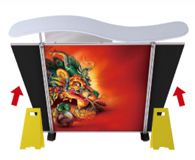 If you need such exhibition stands in Sydney, then you should check out our satellite modular displays. 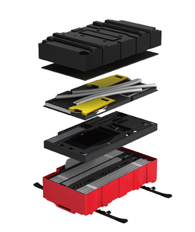 The satellite modular display systems we offer have a distinct and professional appearance. They are perfect for popular and high-profile trade shows such as food and wine expos. They are an excellent fit for five-star hotels, convention centres and other similar trade show venues. 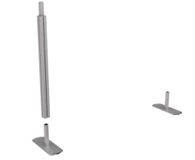 Our 9580mm x 2320mm exhibition stands are great for large exhibition spaces, but can easily accommodate three exhibitors if necessary. 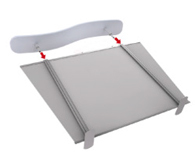 This type of modular display board is made up of a frame, three canopy structures with gray fabric covers, three fascias, and a set of seven fabric graphic panels – three main panels, two connecting panels, and two side panels. 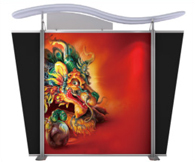 The metal parts making up the frame and the canopy structures are aluminium, while the fabric graphic panels are produced using dye sublimation printing, a printing technology known to create rich, bright and vivid colours. Our modular display board gives you more room to practice your creativity in setting up your booths. You can enhance the look of your exhibition stands with optional accessories such as halogen lights and countertops with tablecloths matching the fabric graphic panels of the display board. Setting up the display board is also easy. 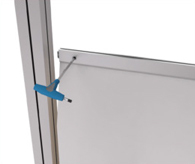 The metal elements of the board slide and lock together, secured with screws. The fabric graphic panels slide in place without any effort on your part. The setup takes only approximately 30 minutes per booth. 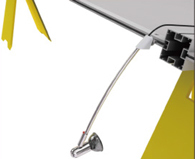 If you need to alter the board to fit smaller exhibition spaces, you can do so without a fuss. 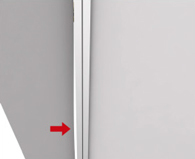 You can, for instance, reduce the width of the display board by removing the side panels. 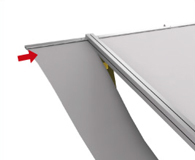 You can decrease the height of the board by removing the canopy structures and the fascias. 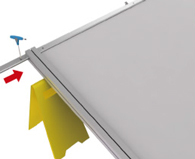 And if you need smaller displays, you can detach the connecting panels to come up with three separate and smaller display boards. 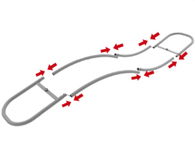 You will enjoy more flexibility with our modular display systems. As mentioned earlier, assembling our display system does not require a lot of effort and takes only 30 minutes to complete. 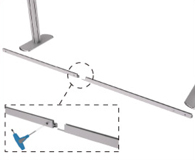 Thus, you won’t spend a lot on manpower in assembling the exhibition stands. The displays can also be modified easily so you won’t need to buy new ones if you want a new look to your exhibition booths. Most of all, you can reuse these display boards for other events. 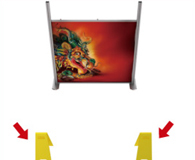 So, you don’t have to buy new frames for your exhibition stands on your next expo. 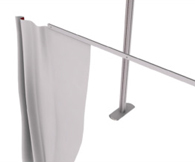 You only need to order new fabric graphic panels to replace the old ones. 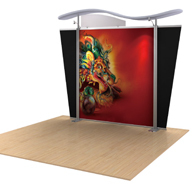 Our modular display systems are ideal solutions for exhibition stand builders. We deliver exhibition stands in Sydney, Melbourne, Canberra, Brisbane, Adelaide, Darwin, Perth, Gold Coast and anywhere else in Australia. Call us right now for more information on this product.